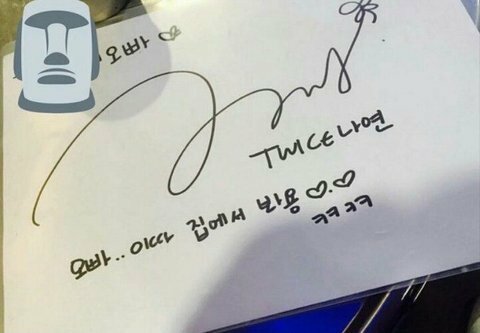 A Male Fan Asks TWICE Nayeon To Write 'Sexual' Comment In Autograph! A male fan asked Nayeon to include a sentence in her autograph. In the autograph shown below, a sentence written 'Oppa, see you at home later' with Nayeon's autograph. Fans then reacted by saying, 'why making her write this', 'this sounds wrong', 'Nayeon is such an angel to fulfill this request'.